Hero Tab C8, a new tab with 1 year warranty launched by Idolian Mobile Inc.
Idolian, a tablet PC manufacturer and distributor with an office in Newport Beach, CA, Arkansas and South Korea, has announced the launch of a brand-new Gingerbread tablet called the white HeroTab C8 Android Tablet PC. This model has a new style and feel with its smooth casing and stylish buttons. 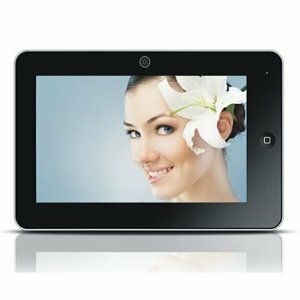 This model has a 7inch Capacitive Touch screen and is powered by Android 2.3 Operating System with a Samsung Cortex A8 Chipset, I GHz CPU. The internal memory provided with this model is 512MB. This model is also provided with an HDMI out Port for attaching an output media device if you need for a presentation etc. Some of the other specifications include. Front facing Camera, 360 G-Sensor and also Wi-Fi connectivity for either browsing as well as editing reviewing. Some of the applications included with the device are Android Google Market, Flash Player etc. The Battery provided with this device will provide a battery backup of up to 5 to 6 hours. The model is made available for sale with a 1 year warranty for the customers in the US. According to the manufacturers this model is made in order to provide an affordable product priced between $100 and $299. It is available for purchase at Amazon.com and on idolian.com where the price is a bit discounted. The company already has a retailed distribution facility, making it available at cellular locations over the USA and South Korea.